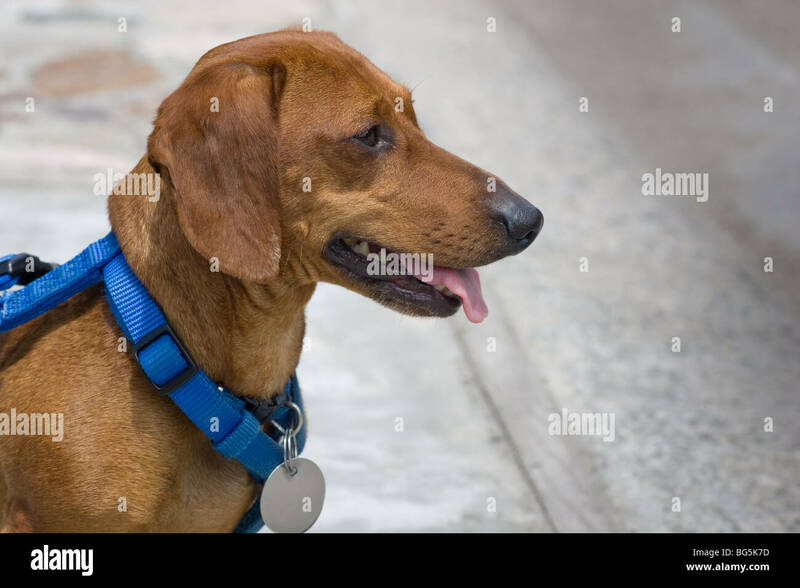 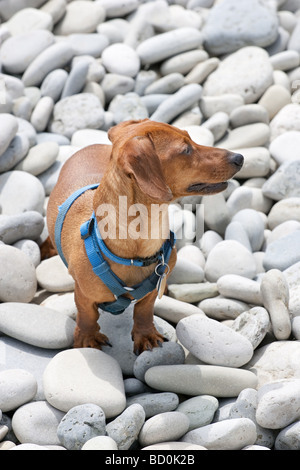 A miniature dachshund, in a blue harness, blank tag and tongue hanging, looking attentive, straight ahead. 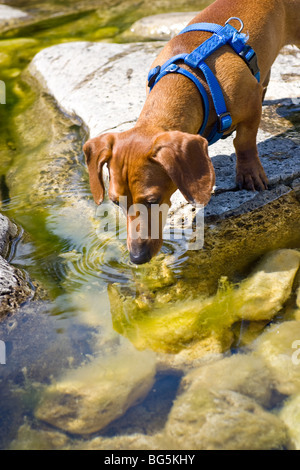 A miniature Dachshund on a rock, drinking lake water, with rocks visible below the surface covered in algae. 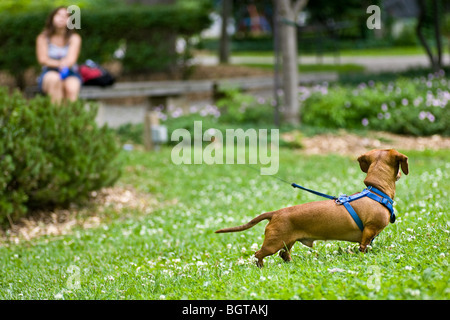 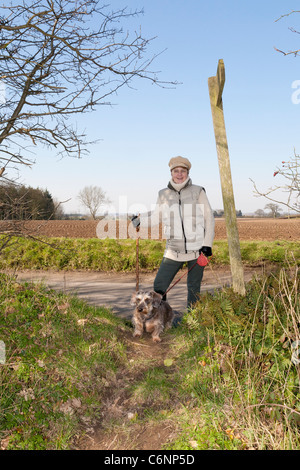 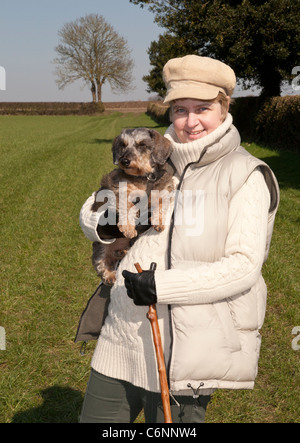 A miniature Dachshund in the grass with a long leash leading to a woman in the distance, sitting on a bench.